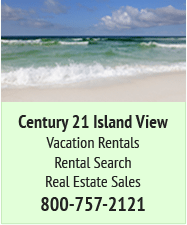 Santa Rosa County Board of County Commissioners moved a proposed Navarre Beach Renourishment Project forward Monday morning, and if approved, the county model will ease the financial burden on beach leaseholders. 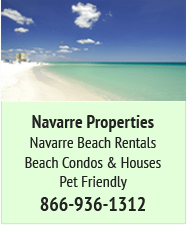 In 2006, Navarre Beach leaseholders paid 90 percent — $6.7 million — of the local expense for nearly 3 million cubic yards of sand placed over a 4.1-mile stretch. The 2015 model requires leaseholders to only pay 50 percent, with the county paying the other half from its reserve funds for 1.6 million cubic yards over 4.1 miles primarily on the western end of the beach. Santa Rosa Island Authority is preparing for a $17 million project to pump new sand on eroded portions of Pensacola Beach. The savings will only be about $1.3 million for the leaseholders, though. In 2006, state grants paid $11,971,575 of the $19,760.412.37 total project cost. 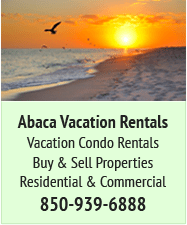 Federal and state grants will only cover $5.05 million and tourist tax will cover $2 million for 2015, leaving $11.35 million for the County and beach leaseholders to split down the middle. The county will pay its portion from its $8.2 million reserve fund. The estimated cost of $18,408,400 by Coastal Tech Corp. concerned the commissioners, but they moved the proposal for a potential vote at their Thursday meeting without dissent after about an hour-long discussion. The project is yet to be bid out so the cost is influx. The commissioners asked why the 2015 renourishment with 1.35 million less cubic yards of sand will cost nearly the same as the 2006 project. Pictures shown by Michael Walther, of Coastal Tech, indicate Navarre Beach is in far better shape today than pre-2006 renourishment. Walther said a study indicates 99 percent of the sand placed in 2006 remains on the beach. “How do I look at picture A and picture B and justify spending as much money today as I did then?” Commissioner Robert Cole (D-2) asked Walther. Walther told the commissioners the rising cost of fuel in the nine years since factored into the rising cost. Santa Rosa County Engineer Roger Blaylock cited Hurricane Sandy taking all of the dredge capacity in the Northeast as another reason for the increased cost per cubic yard. The commissioners ventured into how the county and or leaseholders will pay for future Navarre Beach renourishment projects, too. County Administrator Hunter Walker told the commissioners the only current source of revenue is $300,000.01 collected for bed tax. “It’s the first time they’re actually addressing the problem in the future because it’s not going to go away,” Keohane said. 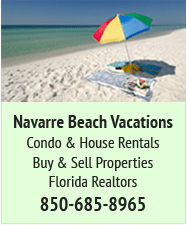 Former county commissioner Ira Mae Bruce owns two properties on Navarre Beach. She suggested increasing tourism taxes along with leaseholders paying their share to cover renourishment costs. Only one of the public speakers, Navarre resident Robert Cooley, opposed paying 50 percent of the renourishment fee. Cooley said to his knowledge Santa Rosa County is the only county that requires beach residents to pay for renourishment. Last summer, Escambia County commissioners approved a $17 million renourishment project to restore 8.1 miles of Pensacola Beach. The commissioners approved co-signing an $8.5 million loan for the Santa Rosa Island Authority with a matching state grant covering the other half. 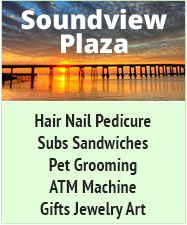 Buck Lee, Island Authority executive director, said the selection committee will recommend Wednesday to the SRIA board that Weeks Marine be the dredging company for the upcoming 1,750,000 cubic yard Pensacola Beach renourishment. If the board approves the recommendation, Lee said Weeks Marine will begin the project as early as Nov. 1 and no later than Dec. 3.